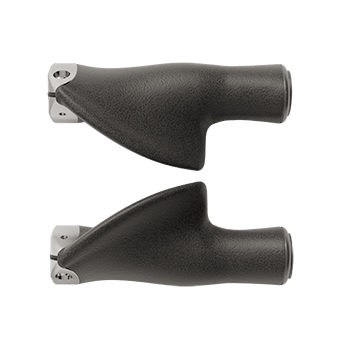 The FinGrips™ improve ergonomics by supporting the palm and keeping the wrist in a neutral position. Free rotation and articulation helps prevent long-term injuries such as frozen shoulder syndrome. 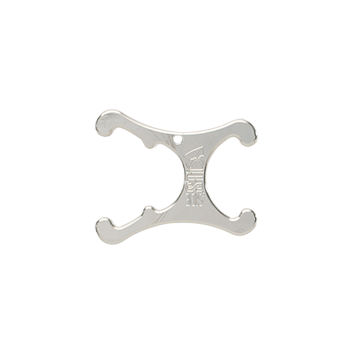 The SideStix™ tool is used for opening the shock absorber and Rotating Foot assembly. Quick and easy tip replacements for your rotating feet assemblies. Replacement Ice Spindle spikes and Allen Key. Essential protection for the end of your grips. 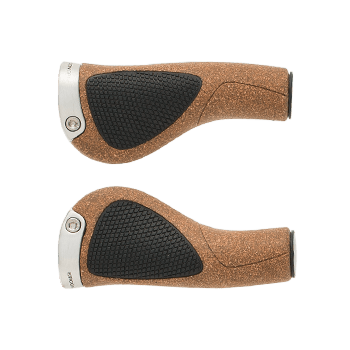 Wide palm rest plus adjustable angles make this natural cork grip a great choice. The key to all SideStix™ screws! A do-it-yourself option for replacing the tip soles of your Rotating Feet assemblies. Replacement elastomers for the SideStix shock absorber assembly. Leather cuff pads to help prevent chafing on the back of the forearm. The best gripping tip we could find! Replacement c-clamp screws and cuff-post bumpers. Replacement tubes, which come in either carbon fibre or aluminum. Spare parts for Rotating Feet assembly maintenance. 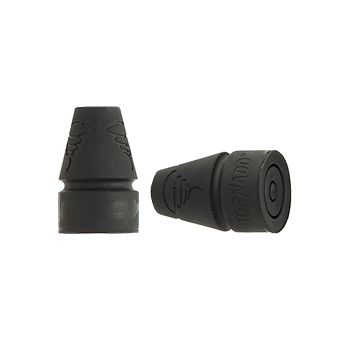 Replacement tip adapters for Tornado tips. These patented, shock absorbing grips provide unprecedented protection and comfort directly under the hands – where it’s needed the most. The FinGrips® are orthotics for your hands! The clamp that holds the grip in place can be re-used when your grips wear out. You can save money AND the environment by ordering “No Clamp” if you’re replacing existing grips. 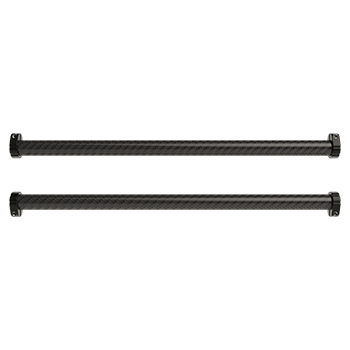 Carbon Fiber is our lightest option that provides the best strength to weight ratio at approximately 100g per tube. 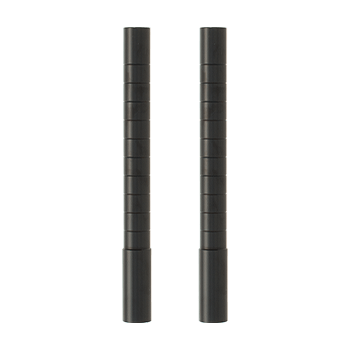 Our carbon fiber tubes can absorb a lot of shock and are ideal for walking and hiking long distances. Precision-machine aircraft grade aluminum tubes are powder coated with textured black Sandtex. Aluminum tubes are heavier than carbon fiber (approx. 200g per tube) but can withstand extreme conditions. Each pair of tubes includes 4 c-clamps. Replacement elastomers for the SideStix shock assembly. The elastomer sits inside the shock absorber and can be accessed by unwinding the plastic shock plug. 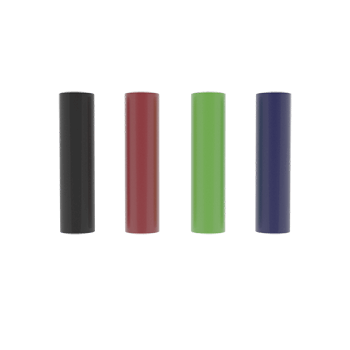 The colours of the elastomers represent the levels of shock absorption, choose the appropriate colour based on your weight. The C-Clamp screws are made from stainless steel in order to prevent corrosion. Stainless steel is softer than regular steel, so the Allen key slot can eventually become worn. Use these replacements as required. Cuff Post Bumpers help keep SideStix silent. Replace if yours become worn out. Two screws and two bumpers are included. These aircraft grade aluminum C-Clamps are anodized black. They have a stainless steel Allen bolt (4mm). As stainless steel is softer than regular steel, please ensure that the Allen key is properly seated in the screw when tightening the C-Clamp or you may damage the screw. The SideStix™ Allen Key (4mm) is designed to assist in changing attachments and breaking down SideStix™ for travel. *Included with all models of SideStix™. We highly recommend using the short end of the Allen key for C-Clamp tightening. Please ensure the Allen key is seated properly in the screw, to prevent slippage which could damage the screw. 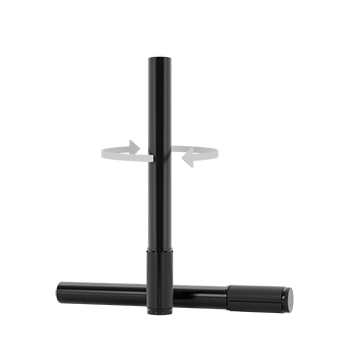 The SideStix™ Tool is designed to assist in the assembly & disassembly of the Rotating Foot and shock absorber assembly. It is included with Boundless SideStix™ and is included with attachments as required. 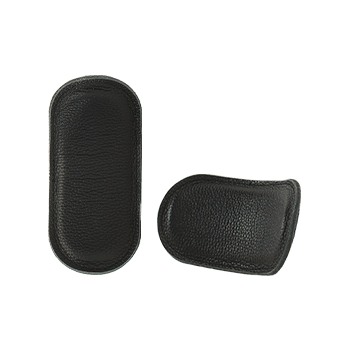 These leather cuff pads provide excellent cushioning for the back of the forearm. They come standard with Boundless and Discovery. Grip caps help protect the Biokork at the outside end of Ergon grips. If you lose the grip caps that came with SideStix, we recommend replacing them as soon as possible, otherwise the grips may become damaged. 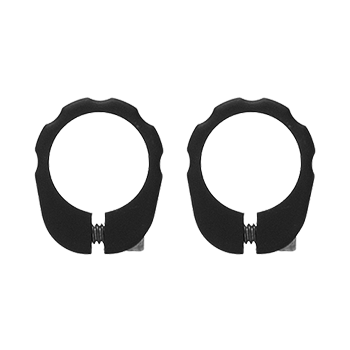 These grips provide excellent ergonomics and comfort for the hand. Anti-bacterial and hypoallergenic, cork makes an ideal grip material. During use, the cork surface naturally wears away resulting in an average grip life of 6-9 months. Sizing Guide: Measure across your outstretched hand – from tip of thumb to tip of pinky finger. If the measurement is 8″ or below, then SMALL is probably preferred. If the measurement is above 8″, then LARGE may be best. 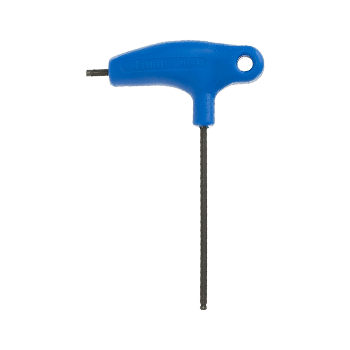 The stainless steel spikes that come with the snowshoe and sandshoe ice spindles can be sharpened using sandpaper or a file, however if you need a replacement set, or want to carry a spare set with you, this kit includes 2 sharpened spikes plus a 3/32″ Allen key to fit the Allen screw in the spindle. 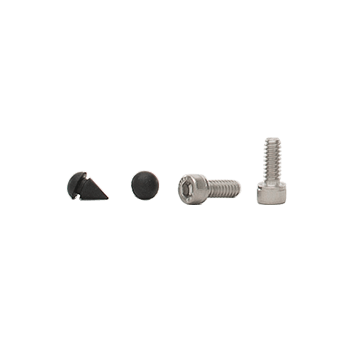 This maintenance kit contains replacements parts for the Rotating Feet assemblies. There are 2 version of maintenance kits. 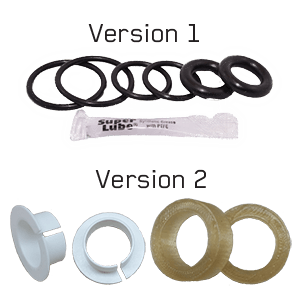 Version 1 comprises 6 o-rings plus Super Lube and Version 2 comprises 2 tip elastomers, 2 collar bushings plus 2 bearing cups. We will review your order history and supply the correct version of maintenance kit. 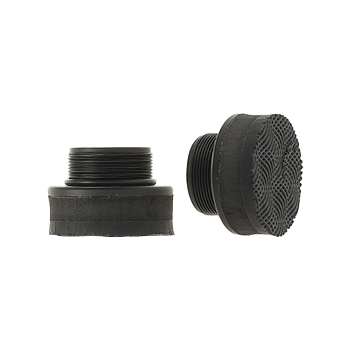 These Tip Sole replacements offer a less expensive replacement method for resoling your Sidestix Rotating Feet Assemblies. Simply take your worn tips to a shoe-repair establishment and have them remove the old sole material, and glue on the new soles. Only compatible with the Articulating/Rotating Foot Assembly. 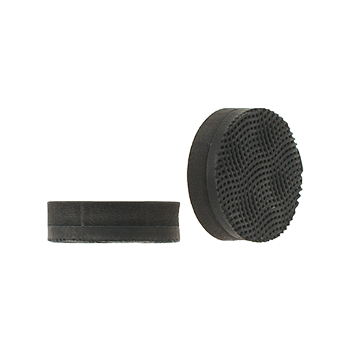 The Replacement Rotating Tips are made from a composite of Vibram outsole & EVA backing. They come complete with machined Delrin base – ready to screw in to your Rotating Feet assemblies. They are available as replacements parts when your original SideStix tip soles wear out. Fetterman Tornado Tips last on average 3x longer than any competitors’ and provide articulation even on very steep terrain. SideStix Forearm Crutches come standard with Tornado Tips. The tip adapters are machined from high quality aluminum and are anodized black. 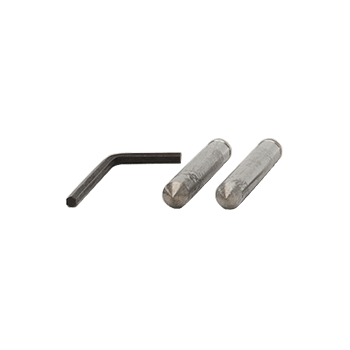 They accept third party tips that are compatible with a 3/4″ tube diameter. 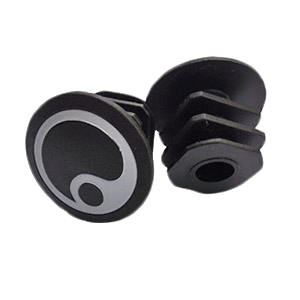 They come in a 2.5″ or 5″ adjustment length. The 2.5″ adapter is approximately half the weight of the 5″ adapter.